Many of us, millions of us, join social networks. I want to relate for example to Twitter. Of course there is a need, a benefit to communicate via Twitter. At the same time twitter is so fast that most of the messages and posts just appear and before you realize it, they are gone and followed by many others. Faster and faster. And yet millions of us have joined Twitter and post several times a day (not really realizing that a single post just is like a grain of sand in the desert. Blown away by the wind. At the same time Twitter ………as a company and as a business case is interested in making profit. Of course. No one will complain. Twitter, some weeks ago, started to join the stock market. Its capitalization astonished the market and many ask themselves, what in fact is the product, the asset of Twitter. What makes Twitter so valuable, so expensive? It is so simple, it’s the post, your post and the millions of posts every minute, every hour, every day. So founders and owners of twitter made a big bargain. They are paid by the stock exchange. But what is my profit? What do I get when I join twitter and when twitter takes advantage out of me to make a big profit at the stock exchange. It is just as simple as this: twitter exists for seven years and is worth 25 Billion US Dollars. Insofar each post is worth 7 US Cents. You now can count your own posts and easily will find out how the worth of your posts is. But Twitter doesn’t pay you any Cent for this. Instead of this, Twitter gives you an Ego-status, not more. 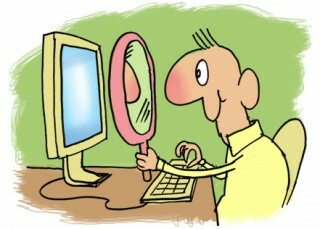 Twitter offers you awareness in a social network which is perhaps of a value for your Ego. And at the same time of high profit for the owners of Twitter.